The recent decision delivered by the Supreme Court of Western Australia in DIPLOMA CONSTRUCTION (WA) PTY LTD (Diploma) -v- SOUTH CENTRAL WA PTY LTD (South Central)  WASC 289 may send shivers down the spine of many construction companies who thought they were safe against a complaint alleging that their work was ‘unsatisfactory’ where the root of the problem was solely defective design. Not so! Complaints against Diploma under the Building Services (Complaint Resolution and Administration) Act (the Act) were lodged with the Building Commission alleging that storm water drains built by Diploma were unsatisfactory due to the inability to accommodate a one in 10-year storm event. The Commission sent the complaint to be dealt with by the State Administrative Tribunal (SAT). Diploma argued before SAT that (amongst other matters) the stormwater drains were not unsatisfactory and that the cause of the flooding was due to a failure of South Central to adequately clean and maintain the soak wells. SAT rejected Diploma’s arguments and decided that the construction of stormwater drainage works pursuant to a design that did not meet the requisite standard was unsatisfactory building work. SAT ordered Diploma to remedy the unsatisfactory work. Diploma called for an internal review of SAT’s decision. The internal review affirmed SAT’s original decision. Diploma then appealed to the Supreme Court arguing that as a matter of law SAT got it wrong because it was not open for SAT to decide that the construction of the stormwater drainage system was unsatisfactory just because of design deficiencies. Implicit in Diploma’s argument was the contention that the subject design work was not the type of work that can be found to be ‘unsatisfactory’ in a way that justifies a complaint to the Commission. They argued that design work did not fall within the definition of a regulated building service. The Supreme Court also rejected Diploma’s arguments. In doing so the Court seemed to blur what might be regarded by some as a clear distinction between design on the one hand and implementing the design on the other. The Court’s comments understandably might cause confusion and concern in the industry with construction companies who have traditionally regarded ‘design’ as always the responsibility of other professionals who carry professional indemnity insurance for losses caused by reason purely from defective design. It seems that based on this decision, where the pathway of a complaint to the Commissioner is followed, a builder may well get caught up in responsibility for what it might think was pure design work and in the province of responsibility of others. It may be argued that this decision turned primarily on the scope of what amounts to a valid complaint of unsatisfactory work under the provisions of the Act and SAT may have been influenced by the fact that Diploma’s contract was in fact a design and construct contract because the designer of the drains was Diploma’s own sub-contractor. However, if you are a building contractor faced with a complaint that arises solely due to deficient design as opposed to defective work or materials you need to consider this decision carefully because you might be surprised to find yourself liable to perform remedial work that you thought was due to the fault of others. 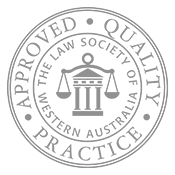 Colin is a lawyer who is a registered Adjudicator under the Construction Contracts Act 2004 and has more than 25 years experience in preparation and advice on construction and engineering contracts and dispute resolution.